Am selling Angel care Movement & Sound Monitor at a low price of R1800. Please contact me if interested. 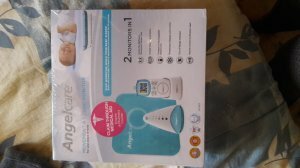 Am selling Angel care Movement & Sound Monitor. Brand new from the box at a low price of R1800. …for sale. Charger is missing but uses rehargable batteries.